Over twenty species of mammals make use of the green spaces and the brick and timber habitats of our towns and cities-from bats and wood mice, to muntjac and badgers-and, when we take the time to look, it can be surprising who we find our wild neighbours to be. 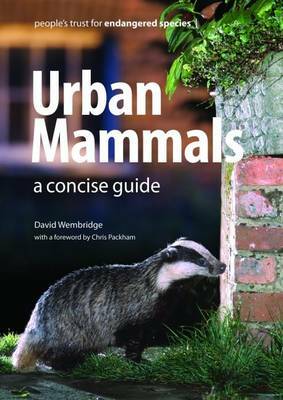 David Wembridge of the People's Trust for Endangered Species has compiled this introduction to the mammals we can see without even venturing out of the garden.Twenty-two species are described in detail, with information on:* Urban and wider ecology* Key features and field signs* Distributions in Great Britain and Ireland* Plus chapters on urban habitats, possible conflicts and urban surveys. * Foreword by Chris Packham (of BBC's Springwatch, etc. ).